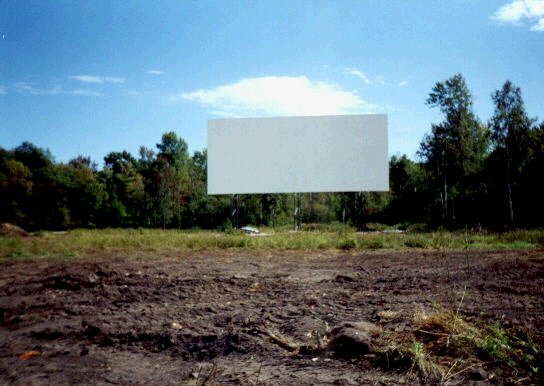 The city of Shawano is getting a drive-in theater again. The theater is located on the east end of town on Hwy 22 behind the existing three-screen indoor theater. The screen is up and the parking lot is graded. The projection and concession building is actually part of the indoor theater. Two windows have been added to the end of the building that will allow the image to be projected to the screen. The distance to the screen is actually over 500 feet. 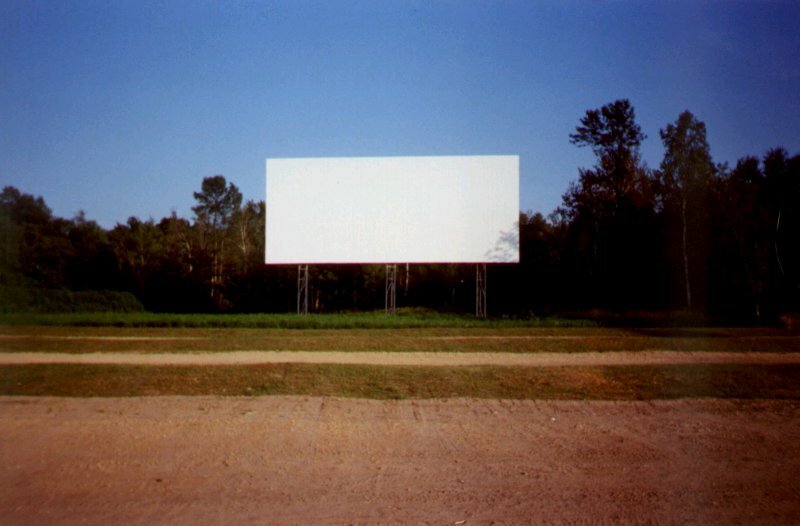 The screen is from the former 57-Outdoor in Grafton. It was purchased several years ago and transported to Shawano where it was reassembled recently. 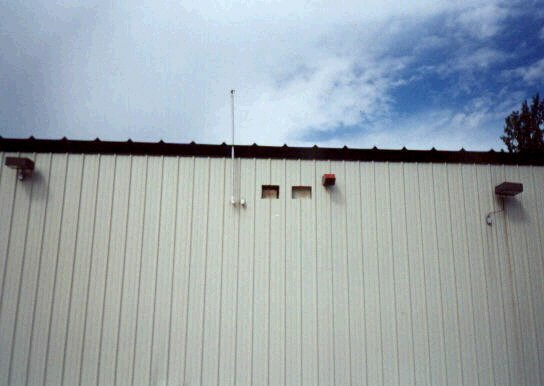 The transmitter antenna is located on the end of the building right next to the projection windows. An entrance door on the end of the building will allow for access to the concessions and restrooms. New: There is now an old car parked on the mound near the entrance. I think it’s an old Rambler. It’s lit up at night which looks cool. 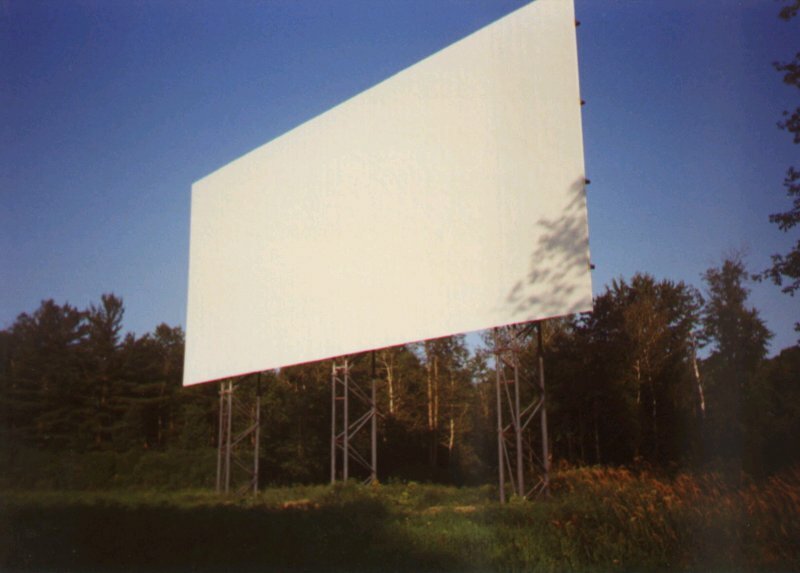 August 4, 2001: Made my first trip to the Moonlight Outdoor Theater. The weather was perfect and the movies for the evening were "Legally Blonde" and "Rush Hour 2". Even the moon came out for the shows! The picture quality was excellent. An external concession stand is in the works and should be open soon. Check the map below to find the correct way to enter the drive-in theater. September 7, 2001: Made it back! The weather wasn't too good that night. A big thunderstorm came through and forced a cancellation of the second feature. The movies for the night were "Jay and Silent Bob Strike Back" and "The Others". August 2, 2002: Weather turned out great and had some fun playing football before watching "Lilo and Stitch" and "Reign of Fire". August 12, 2003: Nice weather and a pretty big crowd for "Legally Blonde 2" and "Hulk". Major remodel on the indoor theater that is very nice when you go inside to get concessions. September 10, 2004: Nice weather for movies, and the features were “Anacondas: Hunt for the Blood Orchid” and “Little Black Book”. September 16, 2005: Quite a few cars and a cool evening. Features were a rather odd combination of “March of the Penguins” followed by “The 40 year old Virgin”. August 4, 2006: Great weather with a nice sunset for a good night at the drive-in. Excellent crowd and two fun movies: “Cars” followed by “Me, You, and Dupree”. Tried one of their cheeseburgers at the outside concession stand. One thumb up! (the other was busy holding the cheeseburger). Moon came out as well, appropriate for the theater. 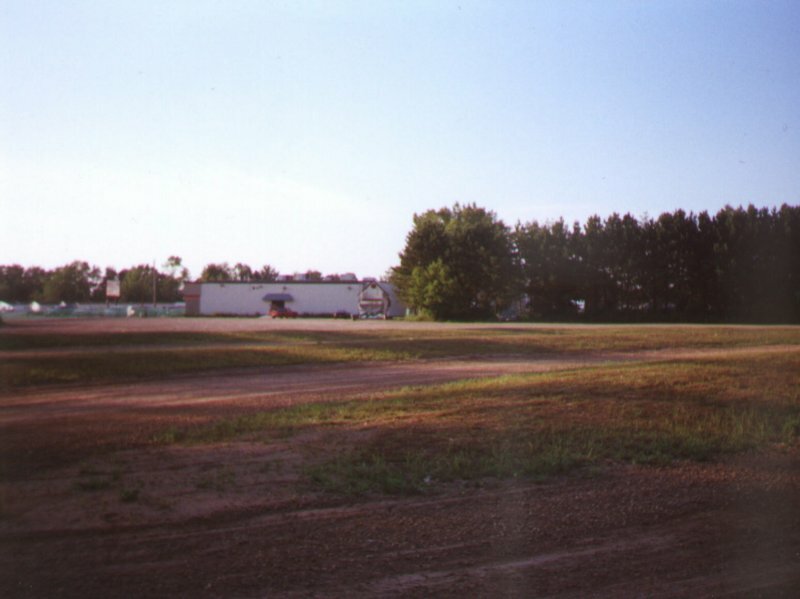 How to find the Shawano drive-in theater.